Google Glass is a wearable computer with an optical head-mounted display (OHMD) that is being developed by Google in the Project Glass research and development project, with a mission of producing a mass-market ubiquitous computer. Google Glass displays information in a smartphone-like hands-free format, that can communicate with the Internet via natural language voice commands. While the frames do not currently have lenses fitted to them, Google is considering partnerships with sunglass retailers such as Ray-Ban or Warby Parker, and may also open retail stores to allow customers to try on the device. The Explorer Edition cannot be used by people who wear prescription glasses, but Google has confirmed that Glass will eventually work with frames and lenses that match the wearer's prescription; the glasses will be modular and therefore possibly attachable to normal prescription glasses. Spurred by the coming of Google Glass, a handful of companies are joining the nascent market to float e-mail, text messages and the Internet in front of people as they ride their bicycles, buy groceries or pretend to be paying attention at meetings. The double-decker SpaceGlasses from Meta have two projectors — one for each eye. (Glass has one projector.) The two projectors can create 3-D images of virtual objects like keyboards that hang like holograms in midair in front of the wearers. Then, with the help of a hand-tracking feature, wearers can type on a virtual keyboard or play virtual chess. 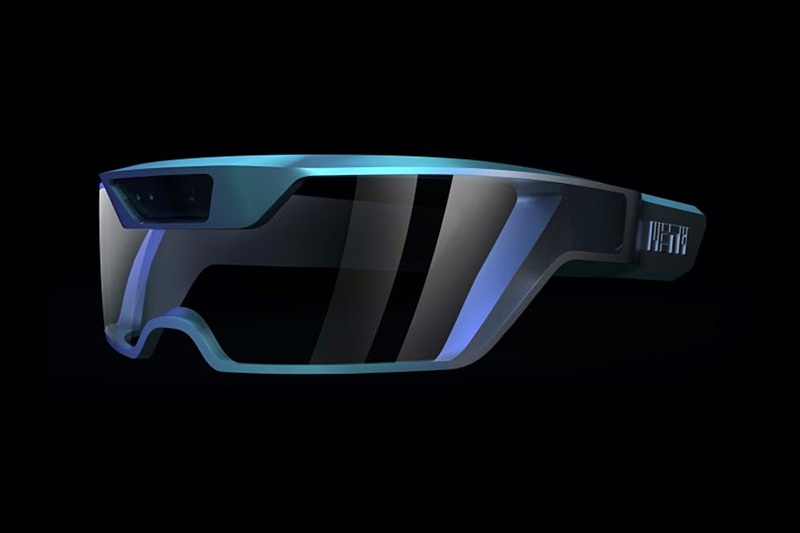 A lot of the new glasses will have features similar to those of Google Glass, including text notification and hands-free photography. The Meta SpaceGlasses are probably the most powerful of the new eyewear. Right now, they are chunky, cyborg-like affairs that must be tethered by cable to a computer to do their jobs. Even so, the company has sold about $800,000 worth of them to more than 1,200 developers, said Meta’s founder, Meron Gribetz. A sleeker version, selling for $667, will ship in April. The M100 glasses from Vuzix, due in November at a cost of $999, connect through Bluetooth or Wi-Fi to smartphones that can remain in a user’s pocket or briefcase. If smart glasses become popular, so that we’re peering not just at our smartphones but also at the sideshows in our glasses, we will probably have to learn new social conventions.